Napa Valley Holistic Veterinary Services-Are grain free diets causing heart disease in dogs? Are grain free diets causing heart disease in dogs? Like me you’ve probably seen it in the news or heard it from your veterinarian. Grain free diets might be causing heart disease in dogs. You may have heard that if you are feeding your dog a grain free diet you need to change their food so they won’t get sick. Well, that’s why I wanted to put together this article to give you the details and let you know your options. I hope you find it helpful! 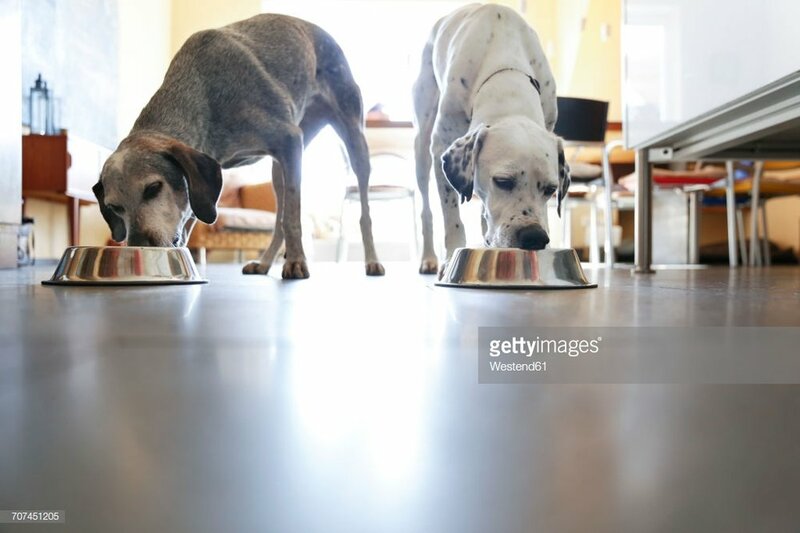 In July of 2018 the The U.S. Food and Drug Administration (FDA) put out an alert to pet owners and veterinary professionals about reports of canine dilated cardiomyopathy (DCM) in dogs eating certain pet foods containing peas, lentils, other legume seeds, or potatoes as main ingredients. The alert can be found here: https://www.fda.gov/animalveterinary/newsevents/cvmupdates/ucm613305.htm. Another very useful Q&A update from the FDA is available here: https://www.fda.gov/AnimalVeterinary/ResourcesforYou/AnimalHealthLiteracy/ucm616279.htm. To be clear this is NOT just grain free diets. ANY food with legumes like peas or lentils, other legume seeds, starch and fiber derivatives from these ingredients (pea protein, pea starch or pea fiber) or potatoes as main ingredients are suspect. The FDA says a “main ingredient” is listed in a food’s ingredient list before the first vitamin or mineral ingredient. This is very prevalent in “grain-free” diets, so they are very suspect. However, other diets meeting these criteria may end up being implicated as well. I’ve even seen diets marketed as “whole grain” that have these ingredients! So please everyone do READ YOUR LABELS! 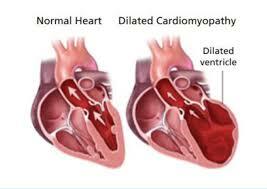 DCM is a type of heart disease in which the heart muscle becomes thin and unable to pump appropriately. If it’s bad enough the heart can actually begin to fail and fluid can back up into the lungs. If not treated dogs can die from this condition. Early in the disease dogs can have no symptoms at all. A heart murmur may develop. Later in the disease exercise intolerance, weakness, collapse and coughing are possible symptoms to watch for. It can have a genetic link but in this case, a dietary connection is suspected. The FDA put out this alert because veterinary cardiologists around the country have been seeing an increased number of cases of DCM in atypical breeds. Breeds that are typically more frequently affected by DCM include large and giant breed dogs, such as Great Danes, Boxers, Newfoundlands, Irish Wolfhounds, Saint Bernards and Doberman Pinschers. It is less common in small and medium breed dogs, except American and English Cocker Spaniels. However, the cases that have been reported to the FDA have included Golden and Labrador Retrievers, Whippets, a Shih Tzu, a Bulldog and Miniature Schnauzers, as well as mixed breeds. All of these dogs were eating diets with the main ingredients listed above1. Some dogs diagnosed with DCM have had low taurine levels. Taurine is an amino sulphonic acid important in heart function. DCM can develop in dogs if blood taurine levels are low. The interesting thing is that another group of dogs had DCM and had normal taurine levels. Nobody can explain this yet. Some people think that maybe taurine isn’t being utilized appropriately or it could be something else happening with the diet affecting the heart muscle. In many cases these dogs were eating these diets for quite some time before symptoms developed. Most dogs responded to a change in diet and taurine supplementation so an association with diet and/or taurine is suspected as the cause1. Has this happened in the past? DCM from diet related causes is not a new thing. In the past there have been numerous associations with DCM, diet and taurine. These reports are listed below and can be copied and pasted into https://scholar.google.com/ for more information. It is important to note that the association between these diets and heart disease has not been definitively proven. There have only been a few hundred reports. Thousands of dogs eat diets with legumes, peas and potatoes every day. No recalls of food have been issued. However, it is highly suspicious and something that I am also very concerned about. Research will be happening to see what’s going on and more information will be coming out in the near future. For now, if your dog is eating a diet with legumes like peas or lentils, other legume seeds, starch and fiber derivatives from these ingredients (pea protein, pea starch or pea fiber) or potatoes as “main ingredients” - see above- I would recommend making an appointment with your regular veterinarian to have a physical exam and blood drawn for both whole blood and plasma taurine levels. Especially if your dog is any of the reported breeds! The sample can then be sent to UC Davis. The sample submission form, pricing, sample preparation information and contact phone numbers for the lab are available at the UC Davis Amino Acid Laboratory. It does require specialized tubes and shipping so you will need to do your research prior to submitting samples if your veterinarian hasn’t done it before. Please give them the link for more information. If your veterinarian hears a heart murmur or notices other signs of cardiac disease (like a murmur, collapse, weakness or exercise intolerance) then they should also perform a chest x-ray and refer you to a cardiologist for an echocardiogram (heart ultrasound)2. If cardiac exam and blood taurine levels are normal you could also choose to have an echocardiogram done to be safe, or you could have your veterinarian closely monitor your dog. You may also want to consider changing your dog’s diet (see below). If cardiac exam is abnormal and/or blood taurine levels are low then I would recommend seeing a veterinary cardiologist for an echocardiogram to check your dog’s heart function. This will let you know if further intervention with cardiac medication is needed. If heart function is normal, at the very least you will need to supplement with taurine and change your dog’s diet (see below). All of this sounds very expensive, and it is. What if you can’t afford it? Until this gets figured out I would recommend changing diets (see below). What kind of diet should your dog eat? This is kind of a loaded question. All dogs are different and what might be right for one dog might not be right for another. Always consult with your regular veterinarian when choosing a food for your dog. He/she may have special requirements based on his/her health. If your dog is healthy, one option is that you can choose a commercial dry or canned food diet WITHOUT legumes like peas or lentils, other legume seeds, starch and fiber derivatives from these ingredients (pea protein, pea starch or pea fiber) or potatoes. When looking for a diet it is ideal to choose a company with a board certified veterinary nutritionist on staff. Also, you want a company that puts their food through AAFCO feeding trials. The company should also do nutrient analysis regularly on their food. You should be able to call or email the company and have them easily give you all of this information. If you do your research, you will probably find the companies that do this are generally the “big name” companies like Hill’s, Purina and Royal Canin/Mars. The bottom line is you really need to be doing your research when you look for a pet food! Not all pet foods and pet food companies are created equal3. Another option, if you want to home cook, is that you can have a home made diet specially formulated for your pet by a board certified veterinary nutritionist. I often use the nutrition service at UC Davis for this and it can be done through your regular veterinarian without traveling there. My fee for this service is $485.00. It is a bit less expensive if you travel to UC Davis. More information is available on the UC Davis Veterinary Nutrition Website. There is also a company on my radar making commercially available “whole food diets” called Just Food For Dogs that is doing a great job with their diets so far. They are a company with numerous veterinarians on staff and their recipes were recently reviewed by a board certified veterinary nutritionist who is part of their team. They plan on bringing a full time board certified veterinary nutritionist on staff next year. They test nutrient profiles for their recipes every 6 months. All of their daily diets have also undergone humane but rigid university feeding trials for a full year! They are even conducting research using their diets. Some of their diets do contain potatoes and are listed as “grain free”, and some of their daily diets don’t have any legumes like peas or lentils, other legume seeds, starch and fiber derivatives from these ingredients (pea protein, pea starch or pea fiber) or potatoes. In communications with them they don’t have concern over any of their diets being implicated because they follow such strict practices and communicate regularly with the nutritionist. However, there is just no guarantee until we figure out what is going on with this connection, so stay away from any diets with the suspect ingredients4. If your dog is eating a diet with one of the suspect ingredients, you absolutely don’t want to change diets and you can’t afford any testing then you can talk to your regular veterinarian about prophylactically supplementing with taurine. Although not ideal because long term taurine supplementation may cause problems, it’s better than doing nothing and lower levels of taurine supplementation long term are generally considered safe. Remember though, this may or may not help, because some dogs with normal taurine levels are still developing DCM2. Yes, absolutely. If your dog is eating a diet with one of the suspect ingredients and has developed DCM or is found to have low taurine levels, please report it to the FDA. This will greatly help with understanding what is happening. You can report it to the Safety Reporting Portal or call your state’s FDA Consumer Complaint Coordinator1. Information on this topic will be constantly changing so make sure to talk with your veterinarian regularly as updates become available. I know the topic is very complicated and confusing so I hope this clarified things for you a bit! Please don’t hesitate to contact me if you have further questions at kschmidt@napaholisticvet.com and I will do my best to answer. Kendra Bettis-Scheibe, DVM. Regional Medical Director- West Coast, Just Food For Dogs. (Personal Communication, September 21, 2018).